Available Sizes/Colors: Size "One Size Adult (M to L)"
Can't you just picture yourself dancing across the rooftops with Mary Poppins in this Adult Victorian Chimney Sweep Costume from Candy Apple Costumes? If you want a great couple idea, pair it with an Adult English Nanny Costume and you two will be ready for a jolly holiday; just don't try and spell supercalifragilisticexpialidocious! 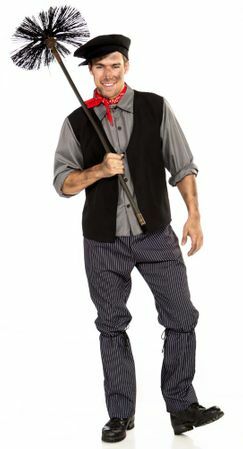 The Chimney Sweep Costume includes a black hat, red scarf, a shirt with an attached vest and striped pants. Chimney brush, shoes and face grime are not included. One size fits most adults medium to large. 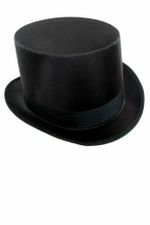 For fun accessories or other fun ideas, head to Candy Apple Costumes' unique selection of Victorian Costumes.